The government is planning to undertake highway projects worth Rs 3 lakh crore in Maharashtra, Union Minister Nitin Gadkari said today. The beautification project will change the face of Mumbai, Nitin Gadkari said. New Delhi: The government is planning to undertake highway projects worth Rs 3 lakh crore in Maharashtra, Union Minister Nitin Gadkari said today. "We have a target to undertake highway projects worth Rs 3 lakh crore in Maharashtra. 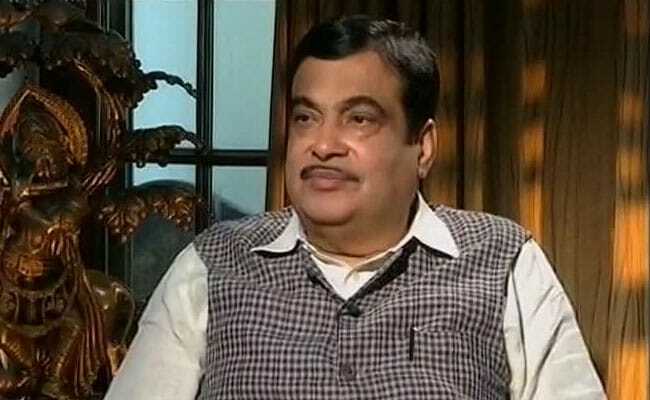 We have started work on projects worth Rs 1.5 lakh crore," Road Transport, Highways and Shipping Minister Mr Gadkari told reporters after a meeting in Delhi. He said a project on beautification of waterfront on both inland waterways and sea worth Rs 2,000 crore will be undertaken by Thane Municipal Corporation. The project will be undertaken in three phases. "We have decided to make fifty per cent contribution to the project. The ministry will provide Rs 1,000 crore. Since the detailed project report for the first phase, which is worth Rs 500 crore, is ready so our initial instalment would be of Rs 250 crore," Mr Gadkari said. The beautification project will change the face of Mumbai, the minister added. On the issue of Aadhaar linkage with driving licence, Mr Gadkari said he supported the move as it will help to fight de-duplication of licences. On a question regarding Motor Vehicles Act, he said, "I have got objections from MPs late last night and we are preparing the answers. Once the replies are prepared then we will discuss it in front of Rajya Sabha Vice Chairman and decide next course of action".